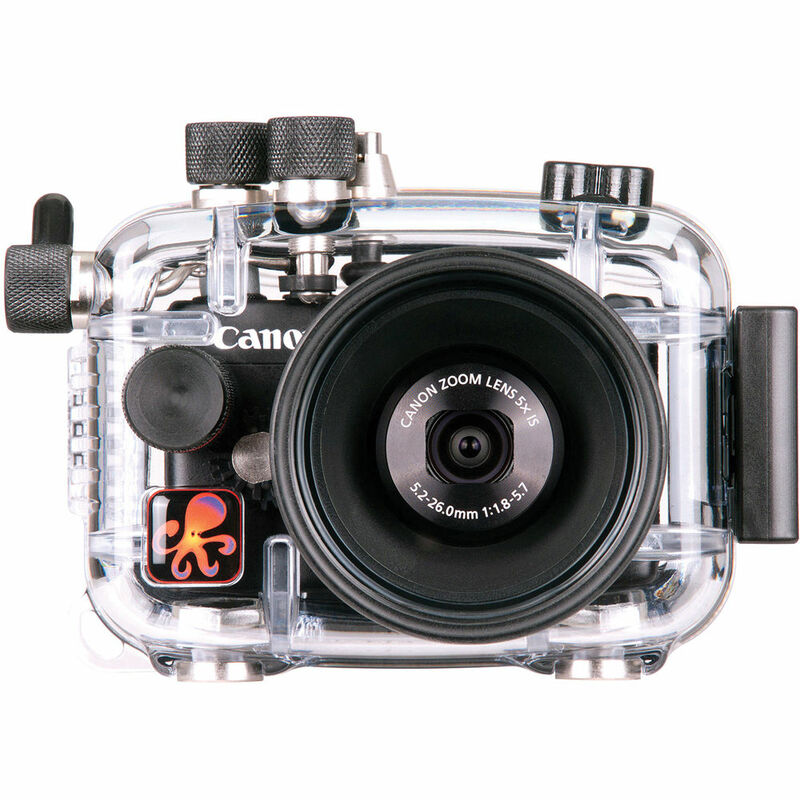 This Underwater Housing from Ikelite is a waterproof case enabling you to shoot beneath the surface with your Canon PowerShot S120 digital camera. It has a depth rating of 200'. The housing provides access to all camera functions except for the flash-up switch and the rear control dial. However, the camera's built-in, pop-up flash can be extended prior to placement in the housing and control dial functions can be accessed using up/down and left/right navigation buttons. Built for durability, the housing is constructed by hand in the USA from corrosion-resistant polycarbonate, which is clear to allow you to monitor the o-ring seal and maintain a full view of the camera. The housing's built-in, flat glass port accommodates the camera's lens and also accepts optional, external, 67mm threaded wide-angle and macro accessory lenses--without the need for adapters. Box Dimensions (LxWxH) 6.6 x 5.5 x 5.3"
Underwater Housing for Canon PowerShot S120 Digital Camera is rated 4.0 out of 5 by 1. Rated 4 out of 5 by Bruno from Fun The case is very good. The only problem is with the buttons, which were very hard to push, but I'm considering it is because it is new. Since I'm a amateur, underwater photos require flashes, otherwise they became too blue.